Once Turtle visited a friend who's house was made entirely out of old crayons; each brick had been carved with care and precision, each window frame smoothed to flawless perfection. Obviously the winters in that house were cold and brittle; and the summers left a person much stickier than one would like. But the views from the house were inarguably breathtaking and Turtle's friend would always be more than happy to lend a doorknob or two for the purposes of an impromptu sketch. 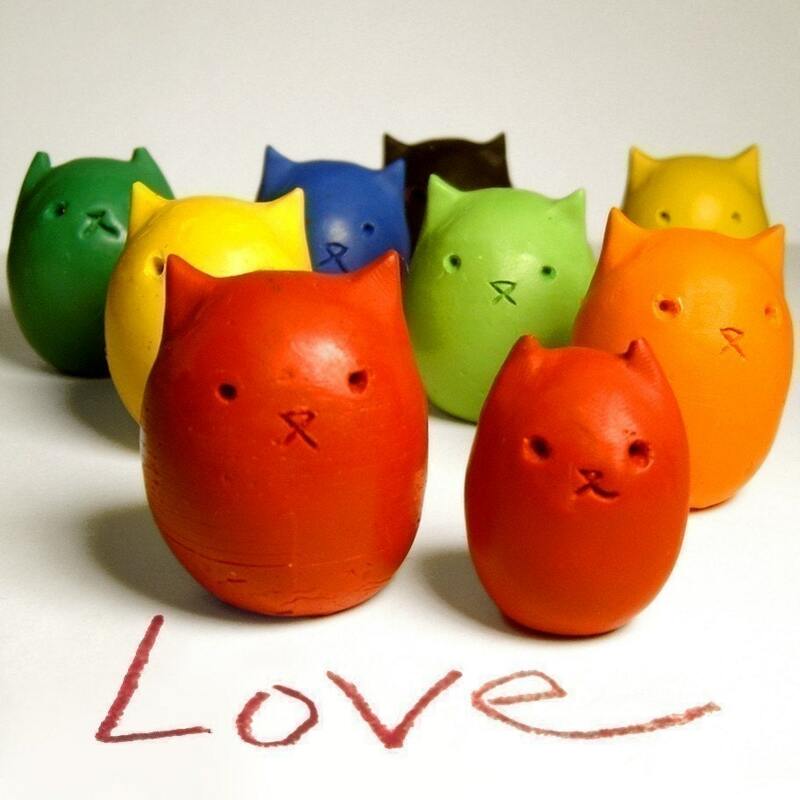 Kitty Egg Crayons from Kitty Baby Love who make lovely kitty egg-shaped items. Click the picture to visit Kitty Baby Love at Etsy. Kitty Baby Love also have a rather lovely blog here with some very cute tutorials! 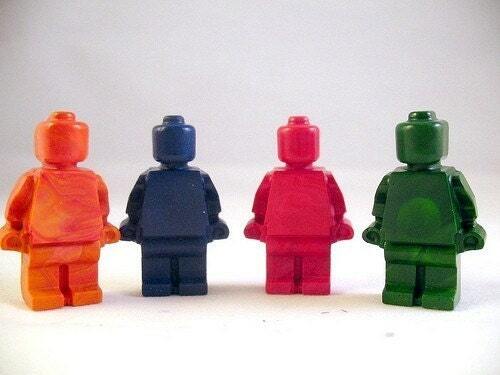 Turtle loves this set of four recycled crayon lego men from ZeeBree. There are lots more interesting recycled crayons available at ZeeBree. Click the picture to visit ZeeBree on Etsy. 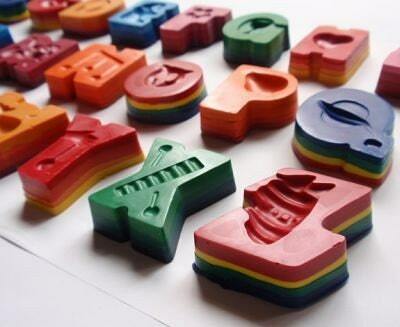 Always one for the importance of spelling, Turtle encourages the use of these alphabet crayons from The Scatter Box. Along with beach treats and recycled crayons you can buy very sweet hair accessories from The Scatter Box. Click the picture to visit The Scatter Box at Etsy.